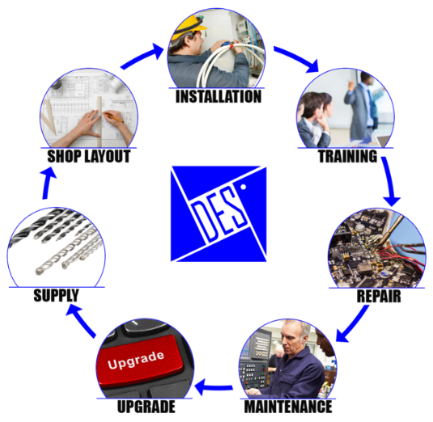 When you purchase equipment from DES, you're not just buying a piece of equipment. You're buying our knowledge and years of experience to help integrate it into your system and grow your profitability. Prior to purchase we review how the equipment can and will impact the dynamics of your company, your staff, and ultimately your bottom line. Then, once you're made your investment, our Master Technicians come to your facility to make sure your new equipment is properly installed, your employees are trained, and your new process is implemented correctly. After all, the right equipment and proper installation alone won't change your company's bottom line. Ongoing training and increasing the efficiency of your process will. We're not just in the business of selling you equipment; we're in the business of becoming a key resource for you for years to come as your business grows and changes. If you would like to learn more about our installation services, submit the form below or give us a call today.